I’m pleased to report that my dreadful cold didn’t entirely ruin my weekend away, though it sure did its very best. 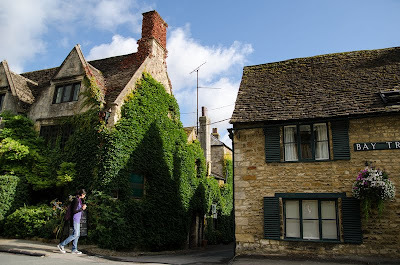 Between that and the constant rain on Saturday, I ended up feeling I only got a glimpse of the Cotswolds — but hey, all the more reasons to go back. 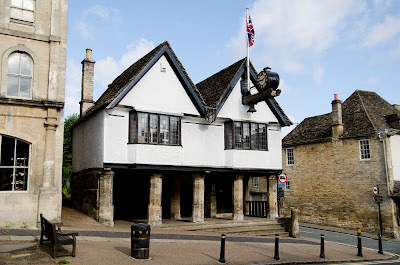 I didn’t get to see as much as I’d have liked, but the impression I got is that the charm of the Cotswolds has less to do with the surrounding countryside (which is pretty enough, but not stunning like the Peak or the Lake Districts) and more to do with its pretty and well-conserved historical villages. 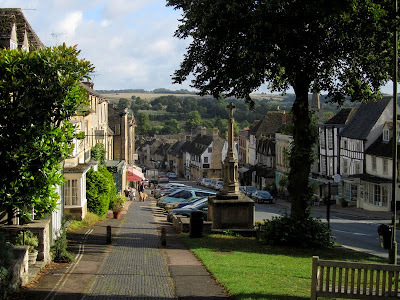 The village where I stayed, Burford, is the setting of Cynthia Harnett’s The Wool-Pack, a historical novel for children that won the Carnegie Medal in 1951. Like the bookish nerd that I am, I got it from the library and read it the week before my trip. The lovely B&B where we stayed. No model village would be complete without its own little bookshop. 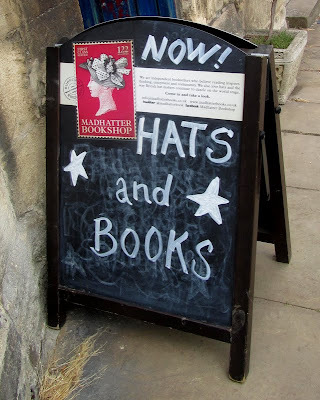 Or, as the case may be, a hat— and bookshop. 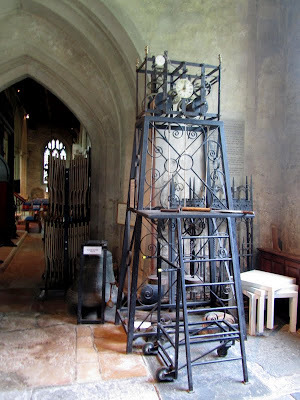 The Old Turrent Clock, which dates back to 1685. The best part of my weekend, though, turned out to be something entirely unanticipated. To help pass the rainy evening on Saturday I picked up a copy of Susan Choi’s My Education that a previous traveller had left behind, and I found myself completely absorbed. I’m less than entirely comfortable with the clumsiness inherent to literary comparisons, but there was something to the voice that put me in mind of The Secret History, and the portrayal of passion and desire between women was as accomplished as Sarah Waters’. As you might have guessed by now, I loved it. So thank you, anonymous fellow Cotswolds traveller, for unexpectedly leading me to one of my favourite reads of the year. Isn't it GORGEOUS there? I was just transported back in time by looking at your pictures. 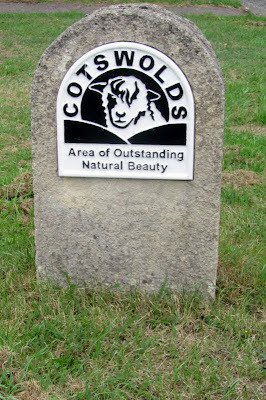 That one weekend we bicycled through the Cotswolds, we stayed at a B&B with this old couple, where a cat came with the room and there were grazing sheep outside our window. 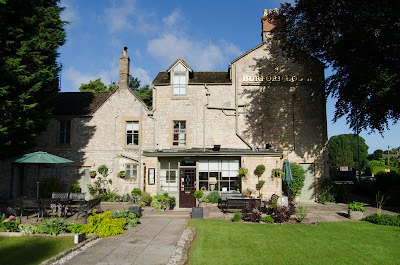 And I think we had the best meal in England at a little restaurant there, where the chef was famous from London but moved to the country to get away from the chaos. It is like a fairy tale come true, that place. 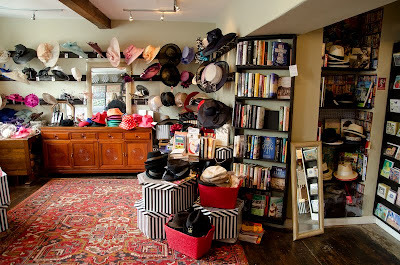 I LOVE that book/hat shop! I love your pictures! It looks like you had a great weekend. 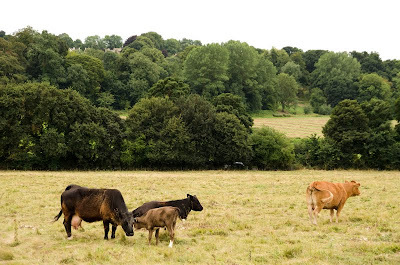 I adore the Cotswolds; I first visited after reading Cider with Rosie by Laurie Lee (I love book-inspired holidays), but I keep going back. I think it's such a magical place! 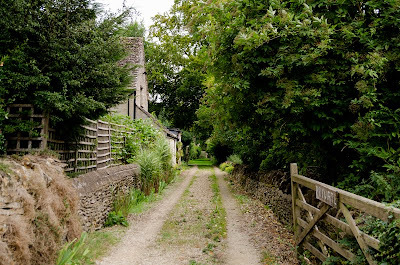 I actually just yesterday shared some pictures from a Cotswolds walk I did on my blog. P.S. How great is it to discover a book that becomes a favourite in an unusual way? 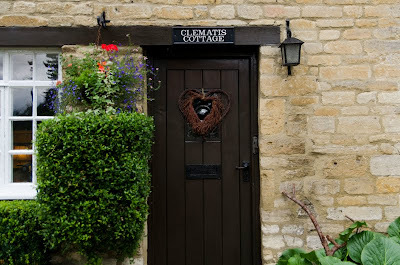 I adore the Cotswolds. 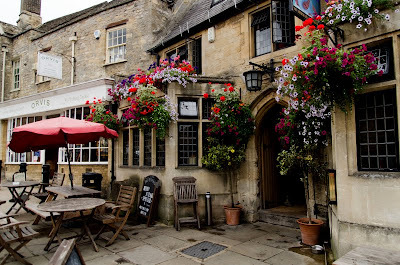 And I've been to Burford and I think I likely spend a night there. One of my favorite trips was the 10 days I spent exploring the region. You do take the best pictures ever! I especially love the hats and books! 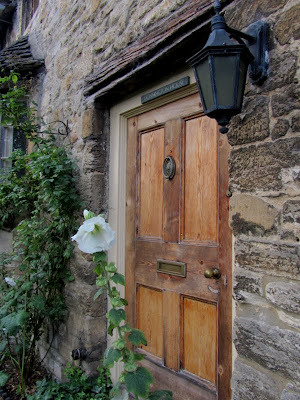 Your photos remind me of the day we spent touring The Cotswolds in 2008 - so beautiful! I intend to spend more time there next time. A book and hat shop is very unique. What fun! 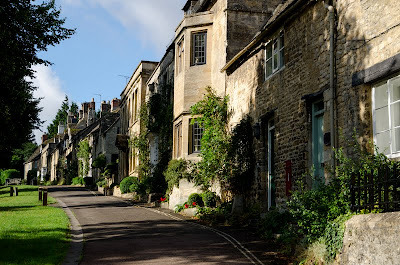 Now I want to go to the Cotswolds and see those charming villages. So glad you got to have a nice weekend get away after all. 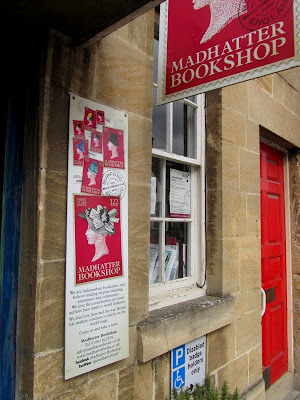 A shop that sells hats and books, what a hoot! You could get a hat to go with the book you buy. 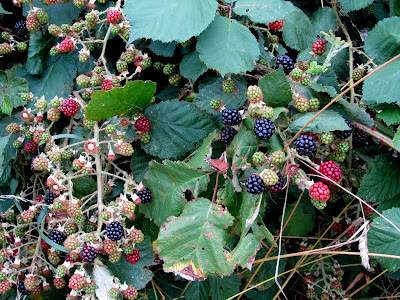 Your photos are so SO beautiful! 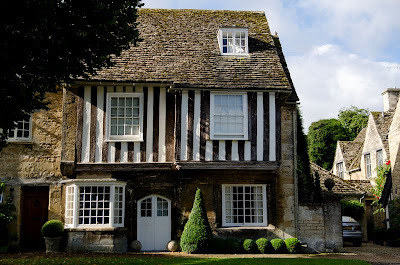 This looks like such a lovely weekend away, even if it did rain. Your pictures bring out the atmosphere of the village so well - looks exactly like somewhere I'd enjoy spending time! Those are fantastic photos! 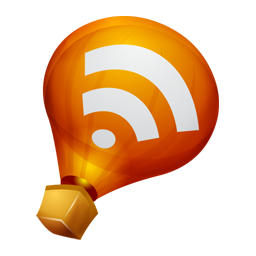 I love a good read that shows up by happenstance, so glad you found one to enjoy. aw yay I'm so glad you got to go and that it's pretty and nice. Also, I started My Education a bit ago and now I want to read it after seeing your rec (which I first saw on Twitter, not that I was stalking your timeline or anything) i start so many books these days and only get a few pages in so it's nice to have a rec and possibly someone to talk about it with if I do read it! I'm glad to you hear you had a nice trip despite your cold! I hope your feeling better now. 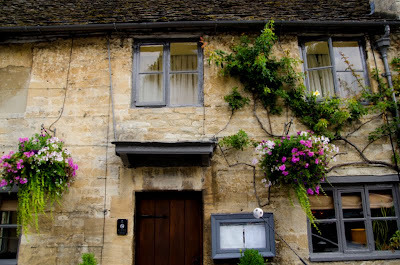 I love the historical villages of the Cotswolds. Thank you for sharing these wonderful photos. Hats + books in the same... I love that this is a thing somewhere in the world. Even if I never get there myself, to know it exists is pretty awesome. Hope that nasty cold goes away and stays away! Also, awesome on the serendipitous read. Spontaneity is sometimes harder than it looks. 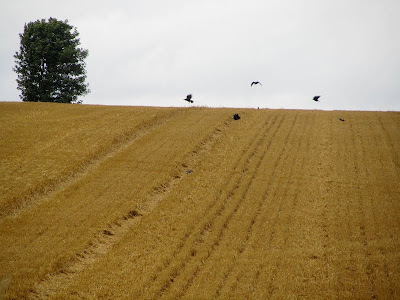 Your photos remind me of my trip through the Cotswolds. 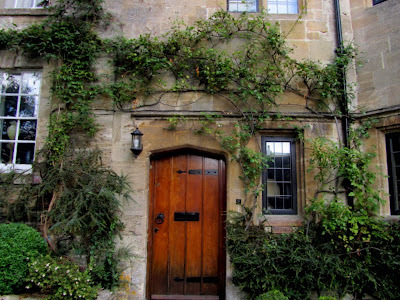 We stayed at a B&B called "Hunting Butts" which we thought was so funny (despite the explanation, Henry VIII, hunting trips, casks of wine, etc.) that we developed a whole riff on living in a place with a name, and named a house we were thinking about buying here in Ohio "The Orange Chicken of Desire" which recently (within the past year) amused the present owners. It looks so lovely! And you're right, there's something particularly wonderful about stumbling upon an abandoned book that makes it even better. I am so sorry that your weekend was shortened by your cold, BUT it does look wonderful there :) Beautiful pictures! Maria: I reallt enjoyed looking at your pictures as well! 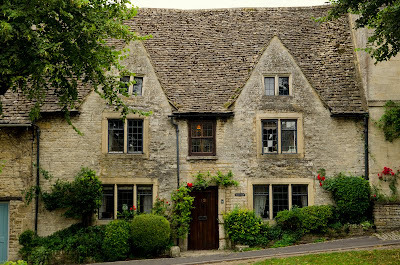 You're lucky to live near the Cotswolds! Beth F: Ten days! I'd so love to do that. The weekend went by much too fast. JoAnn: How lovely that you got to spend some time there! But the place does leave you wanting to go back. Kathy: Next time you're in the UK you absolutely must! Stefanie: Wouldn't it be amazing if they paired them? Andi: It wasn't hard in a village that pretty! Meghan: Yes, you would! There were so many historical details I know you'd enjoy.